I love this holiday – candy, cupcakes, flowers, sparkle – and of course, love :) We're heading out for dinner at Dante tonight, and will probably be in a dessert coma afterwards. What are your plans for the day? Do you celebrate with gals, pals, or your main squeeze? 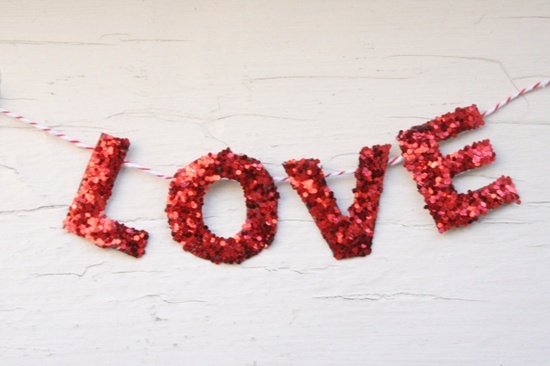 Also, you can find this awesome love banner DIY right here. Ahhh, that banner is AMAZING!